Reducing the distance: are MOOCs the future of CPD? Out with the old, in with the digital? 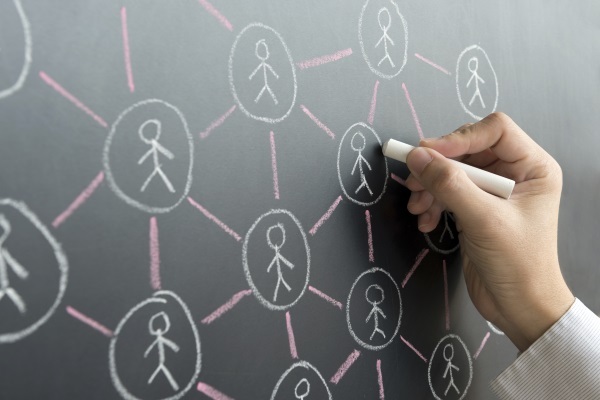 Verity Jones explains why online platforms for professional learning have become so popular. Schools have to set a limit for the professional development of their staff. Even where they have joined forces to offer Inset days, twilights and the odd TeachMeet-type event as a consortium, the impact is invariably restricted according to time, money and location. If staff are to improve engagement and attainment in their classrooms, it’s vital that they have the opportunity to develop their knowledge of subjects and participate in professional dialogue. But this is becoming less accessible. This begs the question: what does the future hold for CPD? I’m beginning to think there’s a better way. The shift toward online CPD platforms is best represented by the rise in popularity of mass open online courses (MOOCs). There’s a great advantage to dipping in and out of the many different MOOCs on offer these days, all of which you can fit within your own schedule. A typical course offers reading and writing activities, forums for discussion, video clips and animations. The prevalence of these courses says a lot about the direction in which CPD is being taken, but how useful are they for teachers who want to communicate new ideas to their pupils? I am fortunate to have been involved in the creation of a MOOC. 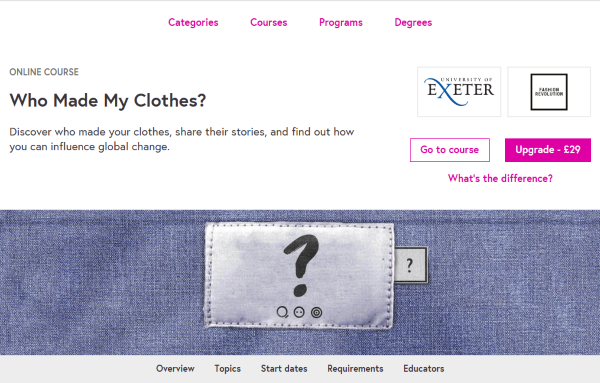 The ‘Who made my clothes?’ course, which I co-produced with Professor Ian Cook at the University of Exeter and the Fashion Revolution charity, sits on the FutureLearn platform. Based on an undergraduate course on the flow of material culture, and strongly linked to the programme of study at Key Stage 2, the course provides participants with information about how and where their clothes were manufactured. It puts global supply chains under the spotlight, with the aim of encouraging people to think about how we can support the world's textile workers. With over 7000 registrants, it has already attracted far more people than the usual full- or half-day Inset. I will admit that, as a CPD coordinator who is used to standing before and presenting to groups of teachers, I didn’t know what to expect when I first logged in to the live course on 24 June. To my surprise, colleagues from Australia, Asia and Africa were already online and waiting. Throughout the day, the whole world seemed to descend on our tiny online lobby. Every week, our Exeter-based expert panel would answer a selection of questions from course participants. The recordings of these Q&As were uploaded for everyone to watch and discuss. This way we could ensure that learning was an ongoing process. There wasn’t one teacher, dictating ideas to the group. Instead, participants were given starting points and through their own investigations arrived at discussion points on their own. As delivering CPD goes, it has been awe-inspiring. Participants have created their own Facebook group in order to continue sharing ideas and information after the course has finished. Some teachers are already using activities from the three-week course in the classroom or to support the planning of future lessons. This was our aim: meaningful, flexible CPD that benefits teachers and pupils at no cost. As the dust settles we have time to reflect on how we might improve the course, but we’re confident it will run again. MOOCs offer a flexible approach to the development of professional dialogue and a catalogue of resources for classroom activities. However, if senior leaders would like staff to embrace them, they will require CPD accreditation. If used strategically, online learning platforms can bring together teachers from across the world in an environment previously inconceivable. An opportunity we should all seize. Take advantage of the range of providers. You might need to sign up for a few before you find the one that suits your learning style. Be mindful of the course author/organiser. Do they belong to a recognised university or organisation? Involve a colleague in the course so you can discuss your learning offline. If you don’t have enough time to complete everything, don’t panic! You can browse entire courses without having to complete any of the activities. Even if you don’t want to post on the discussion boards, consider how you might use the resources and information in the classroom. Think about whether your pupils could complete the course. Could it be set for homework or used as the basis of a lesson?